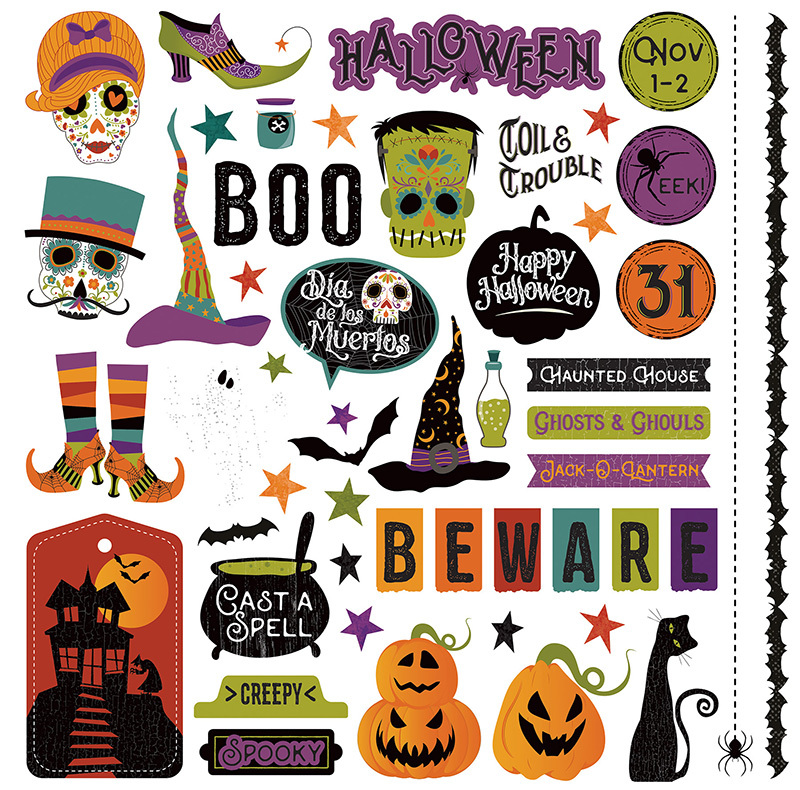 This 12x12 Sticker Sheet has Halloween Icons that sure to make your Little Spooks stand out. Look for coordinating Designer Papers & Ephemera Die Cuts. Part of the Matilda & Godfrey Collection by Photoplay Paper.